A Tonk's Tail... err, Tale...: Flirty Friday - and a WINNER! Maxie, are you winking at us? Well done the winner and we hope it works for them. Have a fabulous Friday. Congratulations to the Blue Kitties! We hope it works for them! My human has no idea who that guy is - we are not big TV watchers here, obviously, and total pop culture luddites. Love the Joey impression, Maxwell. You've got talent, dood! Congrats to the Kitties Blue! Love your wink, and How You Doin" is the perfect caption! 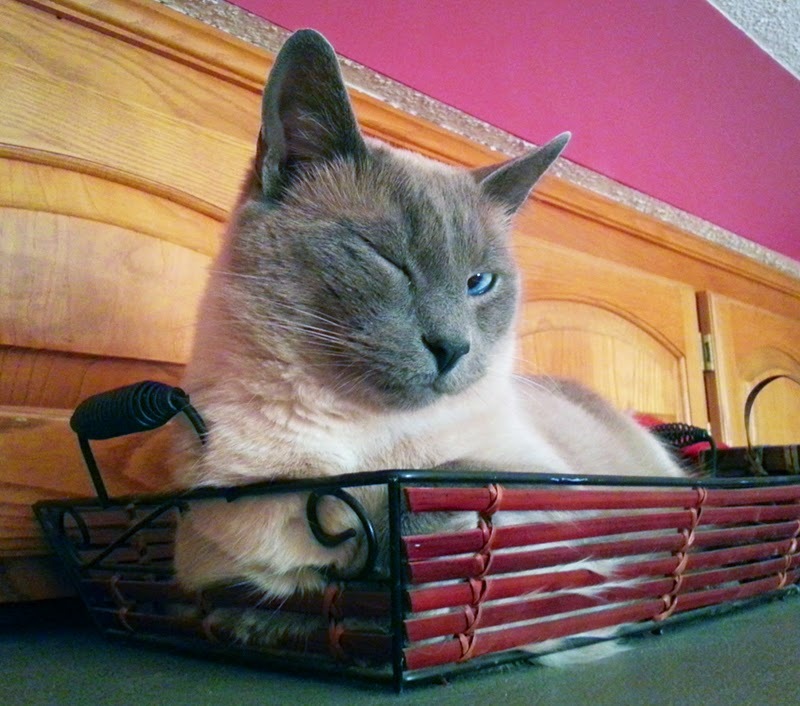 Maxwell, that's an adorable wink you have, you little flirt! et bravo pour cette photo géniale, magnifique! Such a flirt! Congrats to the winners! It seems just wrong that there might be someone who doesn't know the "how you doin!?" quote..
~connie~ MOL! TOO true! And if only we'd had mom do the video of Maxie lifting his head just so while winking... that would have been an even BETTER imitation!